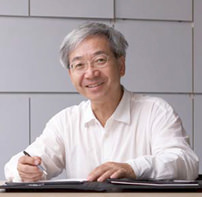 He was born in Tokyo in 1950, earned a bachelors and masters degree from Tokyo University of theArts in the field of industrial and environmental design.In 1990, he founded Lighting Planners Associates Inc.The scope of his design and planning activities ranges widely from residential and architectural lighting design to urban and environmental lighting. Awards He has received include the Illuminating Engineering Society (IES) International Illuminating Design Award of Distinction, Illuminating Engineering Institute of Japan (IEIJ) Japan Lighting Award, Japan Culture Design Award, Mainichi Design Award, and others. He is a visiting professor of lighting design at Musashino Art University and a part-time lecturer at Tokyo University, Tokyo University of Art, and other institutions. He is a member of the following associations, Architectural Institute of Japan (AIJ), Illuminating Engineering Society of North America (IES), International Association of Lighting Designers (IALD), and Japan Design Committee (JDC). Books He has authored include, “Light, Light / Do you enjoy lighting?” (Tokyo Shoseki), “A Manner in Architectural Lighting Design” (TOTO Publishing),“Transnational Lighting Detectives” (Kajima Publishing), “LIGHTING DESIGN for Urban Environments and Architecture” (Rikuyosya), “Designing with Shadow” (Rikuyosya) and many other. City Walks and Salons are the bases of Tanteidan activities. We will be planning a city walk once every 4 months for a total of 3 walks throughout the year. 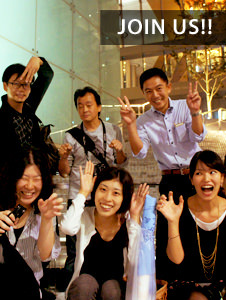 We always get several requests a year to go to cities around Japan to hold a local city walk. We hope to be busy walking all over Japan again this year. Over the years we have surveyed over 80 cities around the globe. In 2017, we did survey in Mumbai and northern Europe cities. You can see all images and report of these survey in our World Lighting Journey pages on the Tanteidan website which is a reference library of the lighting environments we have surveyed from all over the world. In 2017, We didn’t have a chance to carry out children workshop but we think it is very important to have workshops to cultivate children’s aesthetic sensitivity. We would like to make a workshop manual and establish a workshop method for children. So, please join us with your family and neighboring children. It has been three year since Tanteidan website(http://shomei-tanteidan.org) had renewed, and we received good feed back and more access to the pages thanks to enhancement of both English and Japanese pages. Now we are planning to gather all philosophy and methods we have learned through 25 years’ activities and publish a book. It should be published in 2019, so stay tuned! The annual Transnational Lighting Detectives (TNT) forum was held in Kyoto in June 2017. The 4-day workshop/lighting experiment and symposium, together with 4 local universities, was sponsored by the city of Kyoto. We were very satisfied with the outcome. Our next TNT forum will be happening in Santiago, Chile in October 2018.